As much as I love grains, I sometimes like to experiment without. This grain-free granola is actually part of the Pantry Reset series in a little bonus recipe I’m sharing. In the video, I’m sharing 3 different granola versions and this granola is one of those variations. 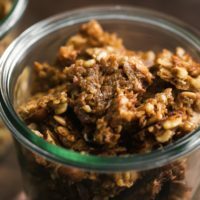 I really love this version because with help from the food processor and brown rice syrup, this clumpy grain-free granola feels just like traditional granola. An easy vegan and gluten-free/grain-free granola using mixed nuts and seeds with coconut flakes, oil, brown rice syrup, and a bit of salt. Preheat oven to 325˚F and cover a sheet tray with parchment paper. In a food processor or blender, combine ingredients for the granola and pulse a few times to break down the nuts and coconut flakes. Spread onto the sheet tray and press down firmly into a rectangle. Place in the oven and bake for 20 to 30 minutes, rotating the tray once halfway through. The granola should be golden and crisp. Remove from the oven and let cool completely. 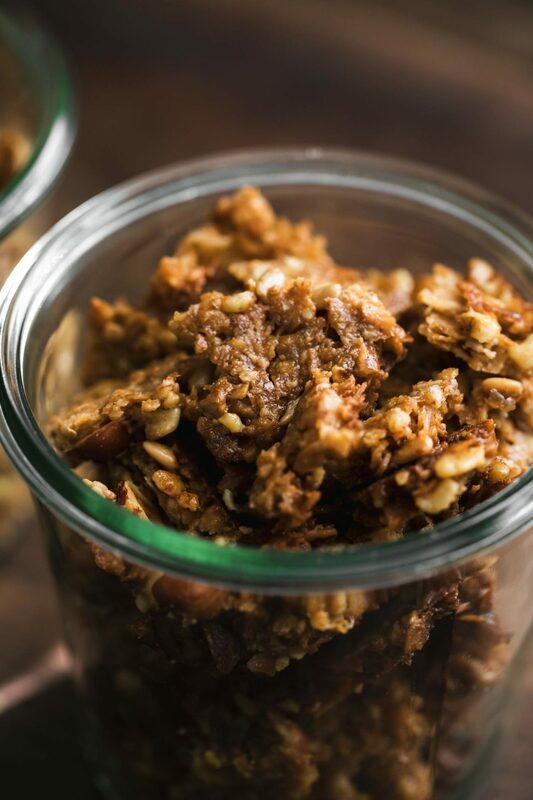 Break the granola into pieces and store in an airtight container for up to 5 days. 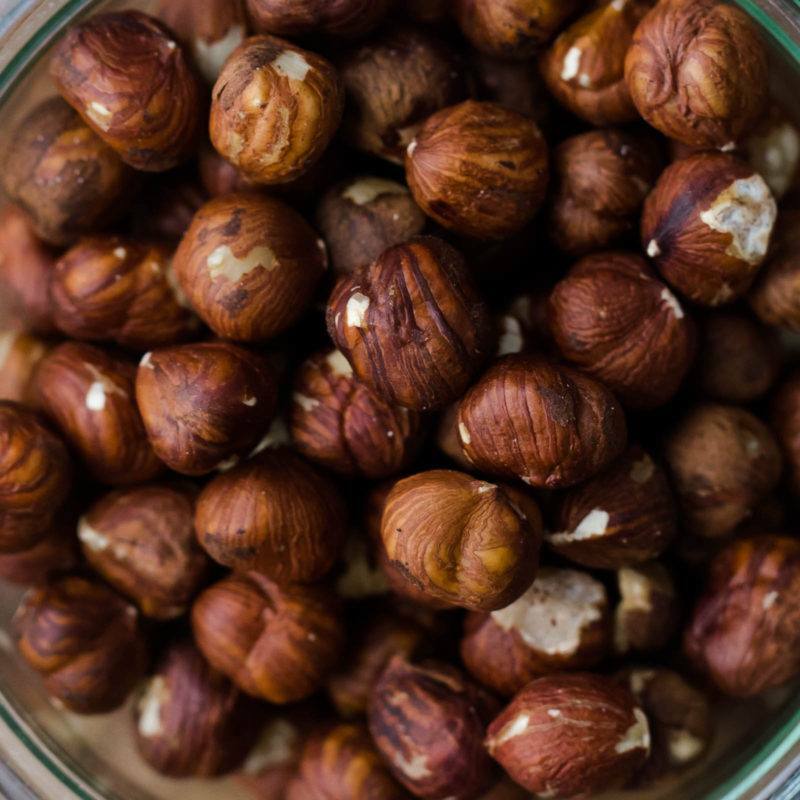 Tips + Tricks: I love walnut oil but only if I can find oil that is okay with higher heat. If you can’t find this, coconut oil is the next best item. For this particular version, I used: Pecans, Almonds, Hazelnuts, and sunflower seeds with walnut oil and brown rice syrup. The beauty about this recipe is that you can switch and swap to match whatever you have on hand. You could even add oats back in with the coconut and nuts- it’s all up to you! Nuts/Seeds: Pick and choose based on what you have on hand. Or, if you’re allergic to nuts, an all-seed mixture would work (think pepitas, sunflower seeds, and hemp). Sweetener: As mentioned in the video, I love brown rice syrup for this granola but maple/honey would also work. Dried Fruit: After the granola is cooled, add in your favorite chopped dried fruit for an extra variation. Yeah- that’s why I have the honey/maple syrup suggestion next to it. Brown rice would be a no-go for grain-free.